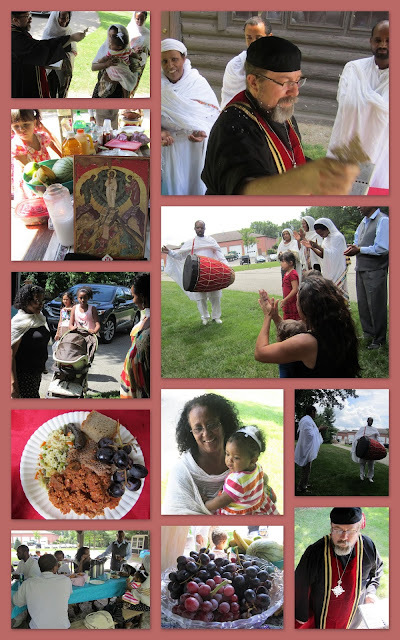 These images from the loving and peaceful parish picnic were taken by MM, MM, and JBP. Current members of the mission parish and few old friends and good food. Fr. John-Brian blessed the grapes according to tradition for honoring the Holy Transfiguration of Christ.